Joy to the world, the bookish holiday has arrived! How will you celebrate? We will be cracking the spines of a few of our favorite reads from this year (which, incidentally, make great last-minute gifts for that other holiday that rhymes with LitMas). We may curl up with a book and some tea, stretch out with cocoa and a sweater, or bring a book to a favorite literary haunt. Wherever we end up, we’ll be reading some of the best books of 2016, a year marked by some impressive contributions to the fiction and nonfiction worlds alike. What will you do today to make the world a little more bookworm friendly? 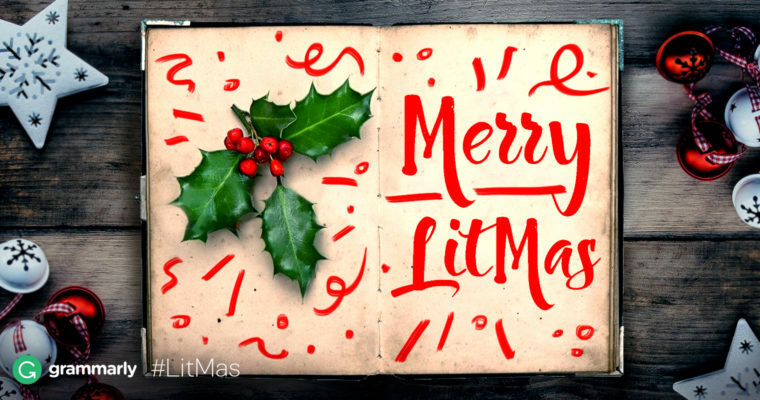 Tweet your thoughts at us with #LitMas. Here are our official LitMas best books of 2016, neatly organized by category. It’s no secret that this is one of the best books of the year. It’s been a top pick on even the most discerning book critics’ 2016 lists, and for good reason. Zadie Smith is a masterful storyteller, and this book is proof. To read or not to read is never a question we ask, especially about this instant classic. Margaret Atwood takes on Shakespeare’s The Tempest from a fresh, Canadian point of view. It has the advantages of a familiar plot arc and brand-new characters, and is definitely worth a read. Not looking for a long read? This loose collection of stories will keep you reading, without the emotional tax of one narrative. Keep an eye out for #trending references to YouTube stars amidst the magical prose. If the trailers for the upcoming film adaptation don’t excite you, then we’re not sure what we can say about this important work. It has space, math, strong female characters, and a true story that would rival any novel. We’ll admit, this one is a bit obscure. But, if you need a gift for the family hipster cousin or want to journey into the weird unknown solo, this is definitely the map to guide you. Jahren may be a geobiologist by trade, but she writes like a seasoned memoirist. Her descriptions of her life, peppered with musings on the natural world, are as moving as they are beautiful. Much like Swing Time, this book comes with its fair share of positive hype. Luckily, its blend of breathtaking illustration and historical fact lives up to every word. For those with younger comics enthusiasts in their lives, Ghosts is a great last-minute gift idea! A touching story combines with bold images to make a lovely graphic novel. Okay, this one may be stretching the idea of “graphic novel,” since it is actually a series of comics. However, the weird and wonderful storytelling from a bunch of strong pre-teen girls is refreshing enough to make this a must-have on this list. Despite its off-color title, this is one awesome (and true) story of literary perseverance. These warriors for knowledge and cultural preservation prove that librarians are the true superheroes, and Hammer’s description of their struggle is at some points touching and at others simply action-packed. This entry might strike you as a bit odd, since it is a short picture book. However, the wonder the main character experiences when talking about books will help you recapture the feeling of reading your first novel. Read it. You’ll see. If you’re a fan of Bloggr’s blog, the Brain Pickings blog, or any of the other books-and-writing-related blogs around, chances are you’ll love this book. Cohen analyzes different writers’ mindsets, habits, and routines to see how they wrote what they wrote. It’s great whether you’re looking for writing tips or are just fascinated with the eccentric daily lives of writers.